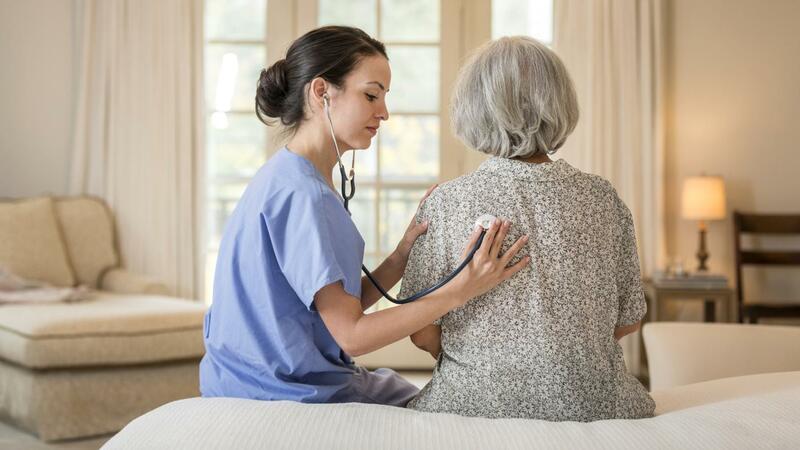 Palliative care at home works by medical professionals working with patients to help them with care ranging from the side effects of treatment to emotional issues, as explained by the National Cancer Institute at the National Institutes of Health. Palliative care is different from hospice care in that it does not begin when patients have reached their final weeks of life, but rather begins at the initial diagnosis of the cancer or other serious life-threatening disease. The purpose of palliative care is for the medical professional to treat and work to prevent all of the side effects of treatment as well as the symptoms of the patient's condition. In addition to the physical manifestations, palliative care addresses spiritual problems, social problems and psychological problems that can arise. Most of the time, palliative care is given by a palliative care specialist who has a great deal of experience in providing and administering palliative care, according to the National Cancer Institute. These specialists will also work with other professionals in the health care field such as doctors, nurses, social workers, pharmacists, psychologists and dietitians. Palliative care does not have to be administered at home, it can also be given at hospital centers. There have been many studies that prove that palliative care provides a better quality of life for those suffering with a debilitating illness or disease. The family members of the patient can also receive palliative care in order to help them meet the challenges that they face while witness their partner, friend or family member deal with their illness. What Is the Difference Between Hospice Home Care and Home Health Care? What Does a Malignant Melanoma Look Like?